Inspect your system regularly to ensure its integrity, many insurers now insist on this. Find Electrical Engineers on The Thatch Directory. 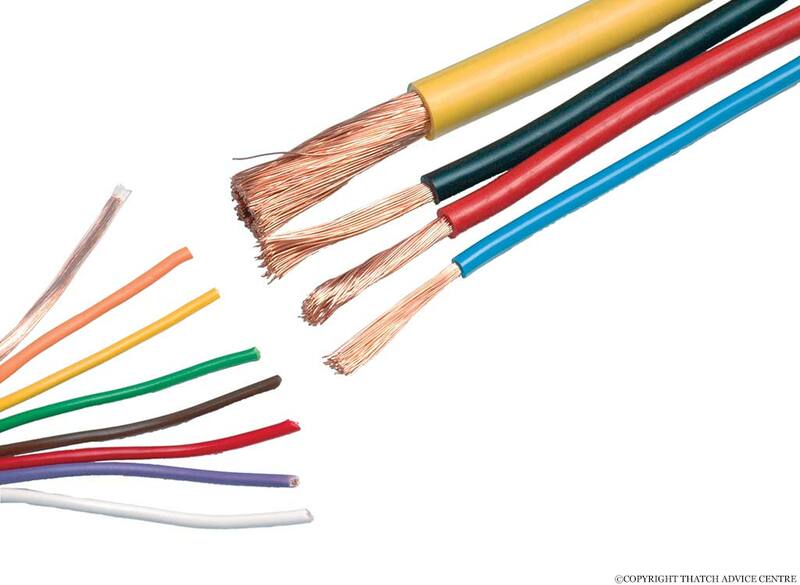 All wiring connections to a property, including aerial leads and supply cables must be spaced a minimum of 30 cm away from the thatch and any wire netting. TV aerials should be fitted to a free standing pole or gable end so that they are not attractive to lightening strikes. Overhead supply feeds must have ceramic type insulators replaced. Your electricity supplier should do this free of charge. 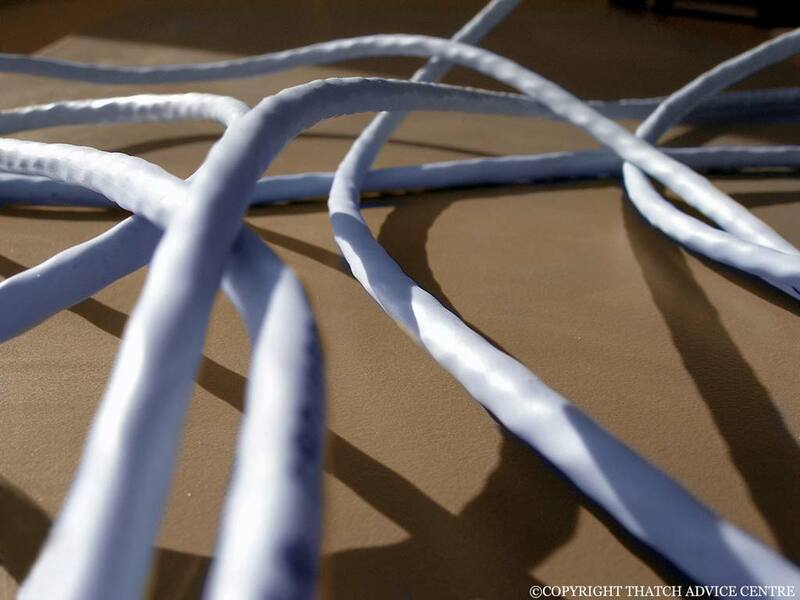 All electrical wiring in the roof space should be in metal conduits and fitted by a qualified electrician. Plastic can be chewed by rodents. Avoid vermin damage to electrics by placing poison or traps in the loft space. Light fittings in the roof space should be enclosed in a bulkhead – do not use recessed ceiling lights (down-lighters) on the upper floor due to overheating potential. Outside security lights, e.g. halogen lights create a lot of heat so must not be fitted near to the thatch or underneath overhangs.